Evolve into the apex predator! The hungriest game of them all is back to rule the oceans! 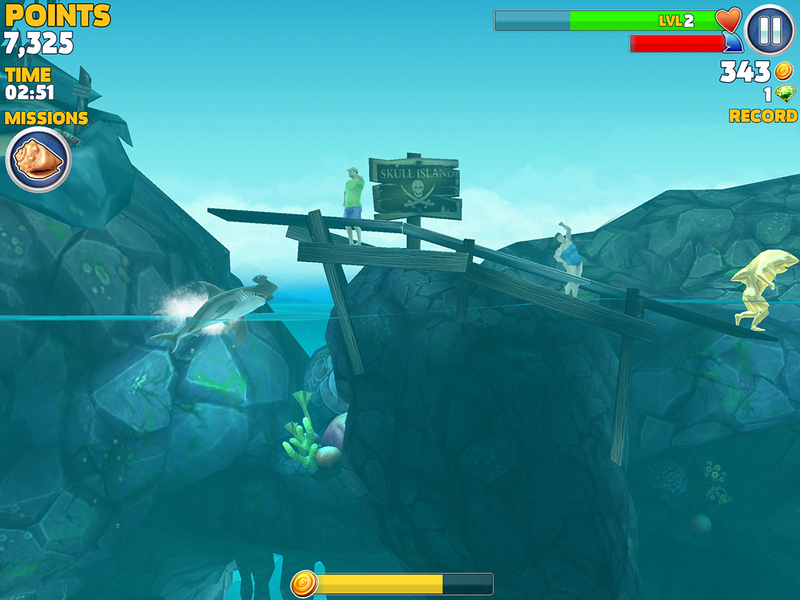 Dive into a beautiful 3D aquatic adventure! Experience life as a shark chowing down on fantastic sea creatures, from the bottom of the shark food chain to massive predators that defy extinction! 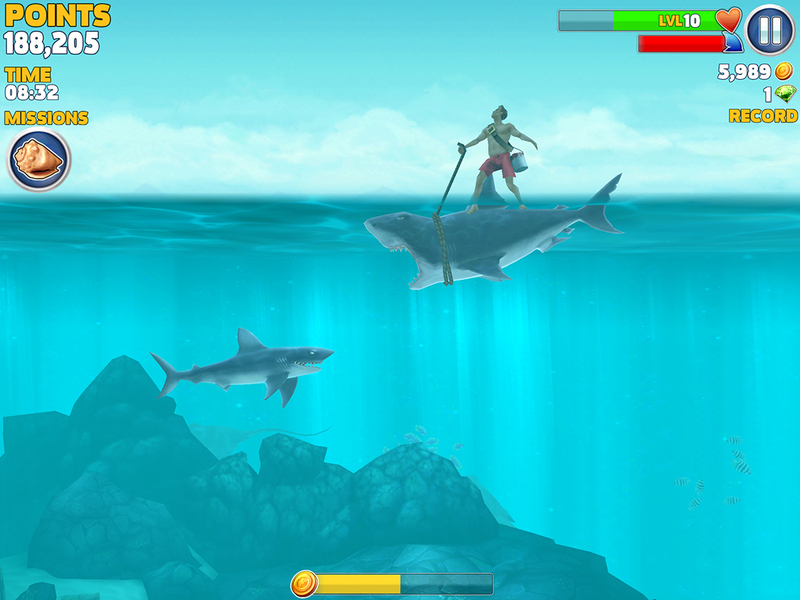 Take control of a very Hungry Shark in this action packed aquatic adventure. Survive as long as possible by eating everything that gets in your way! 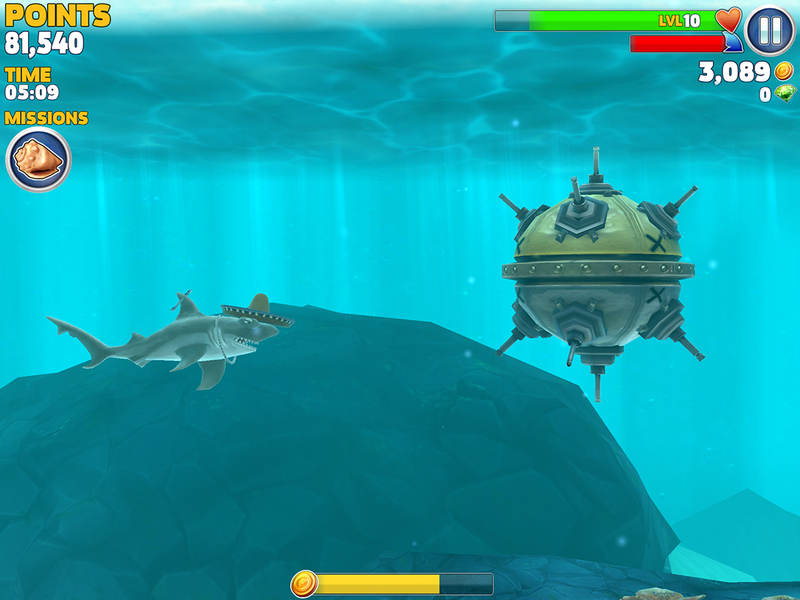 There are many different sharks to collect and evolve, including the Hammerhead, Great White and Megalodon! 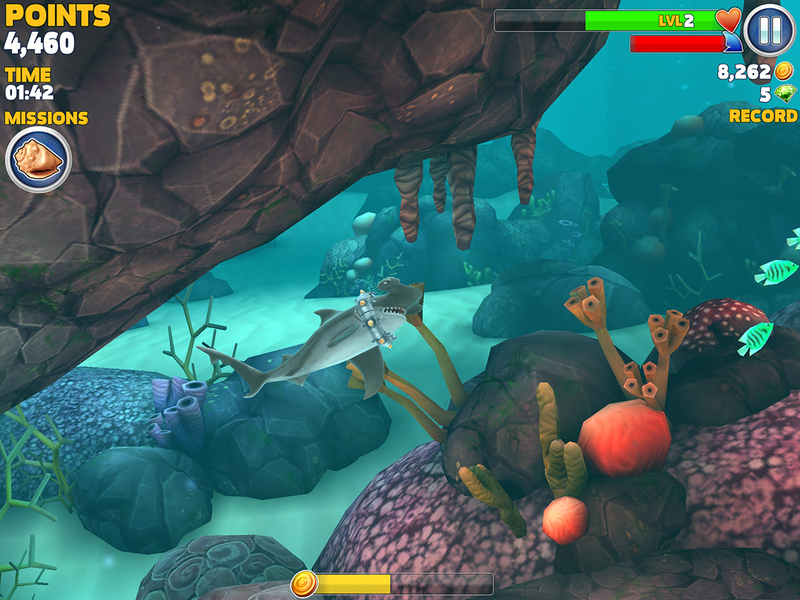 Use coins and gems to grow and evolve your shark from a small Reef Shark to a ferocious Megalodon, and even revive prehistoric beasts like the Mosasaurus! 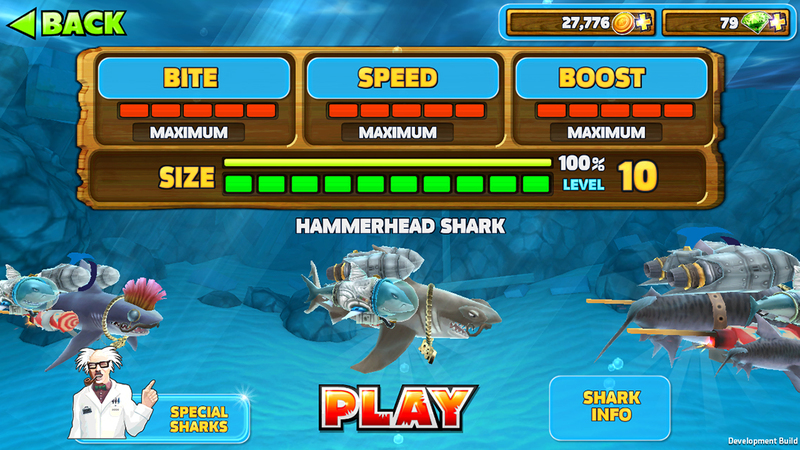 Each shark gets larger as it levels up with 3 attributes to increase as you go. 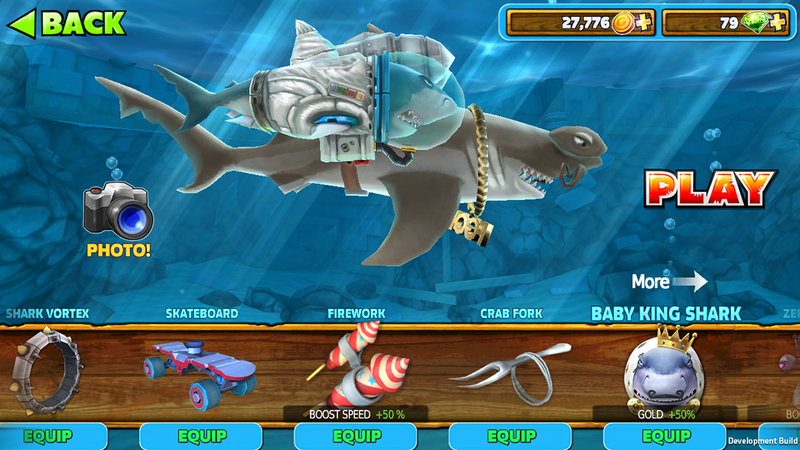 These, and special accessories’ power ups, will make your shark the most powerful creature of the ocean. 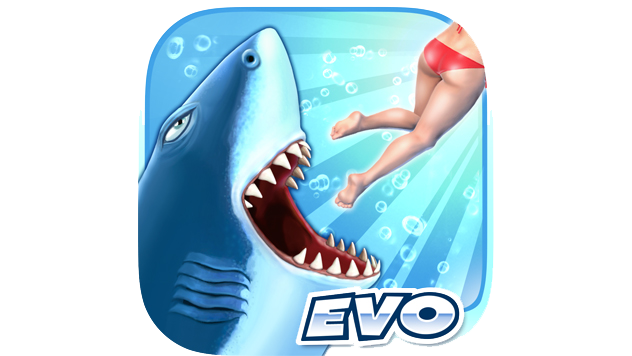 The greatest discoveries of Shark science are at your service: unlock the Evo Trio of whacky special sharks who boast new deep-sea terrors. 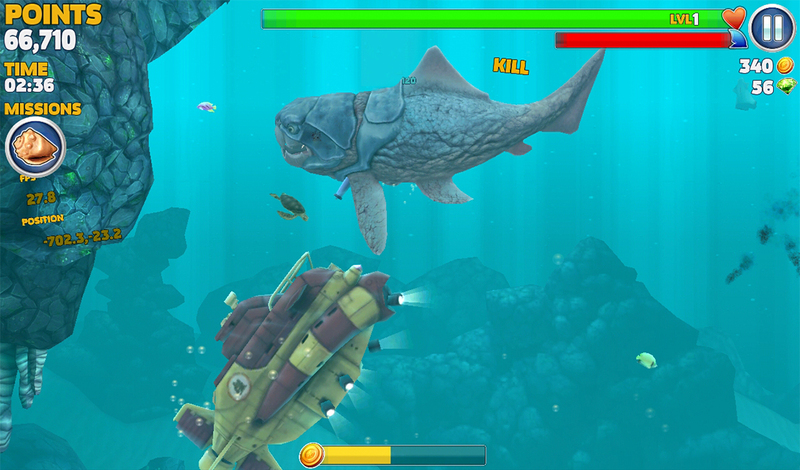 Electricity, ice and even missiles are in your arsenal to fill your belly and take out any who get in your way! Take part in the Facebook leaderboards. Try and beat the hi-scores of your rival carnivores from around the world. Are you up to it? You can also share your achievements with the official community pages on Facebook, Twitter, Youtube, LinkedIn, Google +, Pinterest and Ubisoft forums. A Unity built game that boasts striking 3D models, lighting and a lush environment that will have you chomping at the bit! 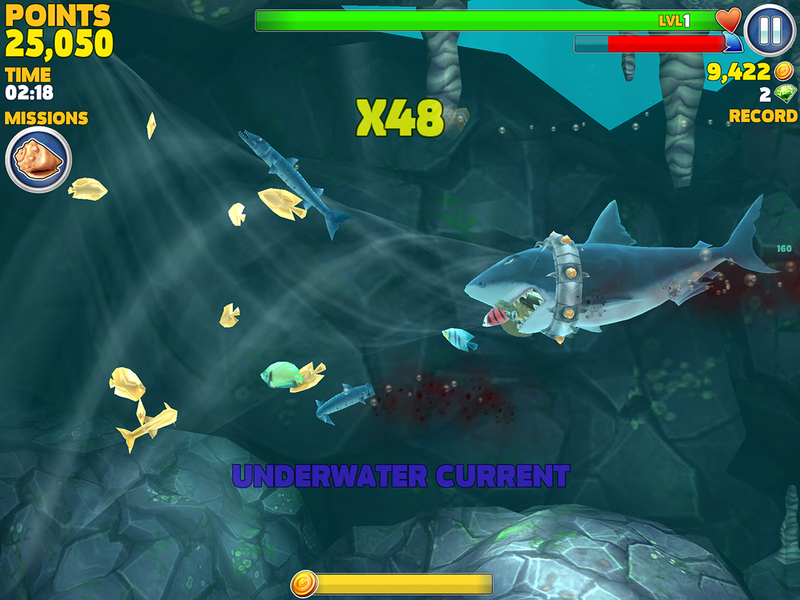 Fight for survival against boss enemies and the dangers of the sea: not everything is willing to let you eat in peace! 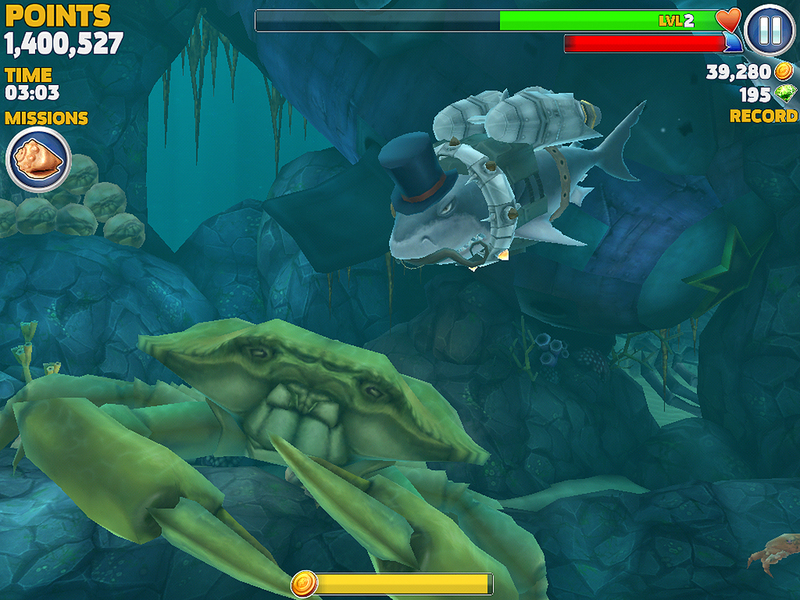 Shark finners, toxic waste, rocket launchin’ submarines, mines and even a friggin’ Giant Enemy Crab! Each shark has its own set of missions for you to master, as well as the 15 hidden objects dotted around the map for you to locate. Just like with coins multipliers, you’ll be rewarded for your efforts with a fintastic hi-score and extra coins! © 2015 Future Games of London Ltd and Ubisoft Entertainment. All Rights Reserved. Hungry Shark Evolution, Hungry Shark, Future Games of London, Ubisoft, and their logo are trademarks of Future Games of London and/or Ubisoft Entertainment in the U.S. and/or other countries.